The Landera range of Western Red Cedar Garden sheds is manufactured in Australia. This range offers a high quality alternative to the more commonly used zinc or colour garden sheds. Cedar Shed products offer size alternatives from 1.93 x 0.94 metres to 2.53 x 3.64 metres, and are supplied as easy to assemble pre-made panels. Installation of the Cedar garden shed products is a relatively simple process. The first step is to choose a nice level site in your yard. The floor position is marked out in a base constructed either using a recommended Stilla rebated floor or by laying a concrete slab. If the site is out of level, a good option to consider is the heavy duty floor kit. This has been specifically designed to reduce site works where the ground is not level. Once the floor is in position the next step is to erect the pre-made walls. Starting at the front corner, the panels are joined and gables fastened into position. The roof is then assembled on the ground, lifted into position and fastened to the walls. Next the hinges are attached to the door, the door fastened to the wall and the door handle installed. Finally, the corner posts, cover strips, fascias and the ridge capping are attached to complete the product. As well as the optional rebated floor kit and heavy duty floor kit (which includes a rebated floor), the Landera products can be modified to suit your situation by including double opening doors, opening windows, and handy loft shelves for maximising internal storage. 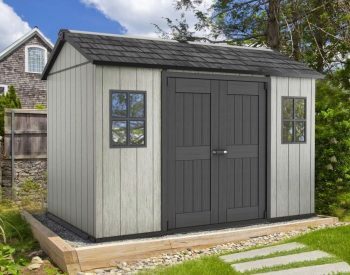 Interestingly, Cedar Sheds, particularly the larger Glendale and Master Shed, are often used for workshops and garden studios as well as for storing household and garden items. The Cedar Shed range includes the Birch 6 x 3, the Palmwood 6 x 6, the Oxford 6 x 9, the Glendale 8 x 8 and the Master Shed 8 x 12. 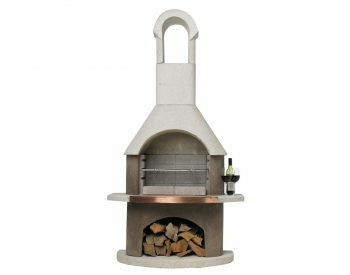 For more information, see http://www.landera.com.au/garden-sheds-timber . Compost Mixer 230 composter – winning design.